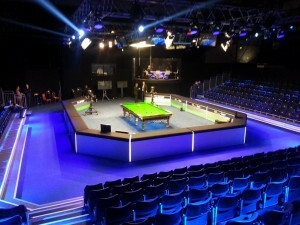 We have already seen plenty of snooker during the 2015/16 season but for many fans in the UK at least, the Champion of Champions represents the start of the real meat of the campaign, not least because the event is the first to be screened on terrestrial television. Indeed for a third successive year, every ball struck in Coventry will be screened live on ITV4, with presenter Jill Douglas set to be joined by veteran commentator Clive Everton and analysts Neal Foulds and Alan McManus. It is a tried and tested mix of knowledge and current awareness of the sport that has proven popular with viewers since ITV renewed its relationship with snooker back in 2013. In terms of the event itself, the big story is of course the absence of two-time defending champion Ronnie O’Sullivan, who maintains his absence from tournament play so far this season. Also joining him on the sidelines will be Ding Junhui, who misses out following Mark Allen’s victory at the Bulgarian Open, as well as fellow top 16 players Ricky Walden, Mark Williams and Marco Fu. What we do have however is both a strong and varied field, with the likes of Shanghai Masters champion Kyren Wilson joining Chinese starlet Zhou Yuelong and Yan Bingtao in the draw. 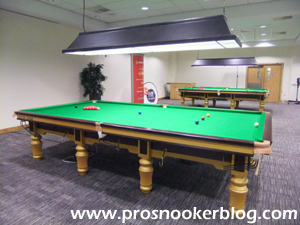 For a reminder of how all of the players qualified, click here to visit my WPBSA blog with all of the details. To the groups, with a note that the winners of groups one and four will meet in the semi-finals, as well as groups two and three. Group one sees the in-form John Higgins take on Paul Hunter Classic winner Ali Carter on Wednesday, with the winner to face either Joe Perry or Michael White for a place in the semi-finals. 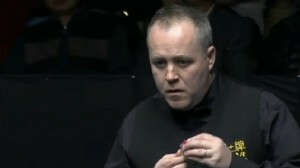 Having won two of the season’s three full-ranking events to date, John Higgins comes into the tournament very much as the man of the moment and although only top seeded as a result of Ronnie O’Sullivan’s absence, it is hard to argue that he is out of place in the draw. In terms of their head to head it is unsurprisingly Higgins who holds the advantage (16-6), although Carter was the winner on their last meeting at the Players Championship back in 2013. Although Higgins will be favourite, it is notable that the Scot has been in action almost non-stop at the Haining Open, International Championship and Bulgarian Open events recently, while Carter has played just two matches during that time. 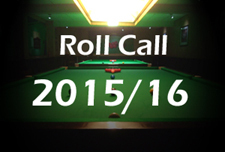 Will the ongoing momentum be to Higgins’ advantage or will Carter’s relative freshness help him? Meanwhile Joe Perry will take on Michael White in perhaps their biggest meeting to date, the pair having exchanged victories at European Tour events back in 2012. The pair will both make their debuts in the event, having failed to qualify in either 2013 or 2014. For Joe the season so far has been solid, with quarter-final runs at the Australian Goldfields Open and International Championship his highlights so far. In fact he has lost to the eventual winner of all three ranking events so far this season, Higgins on two occasions who he could of course meet on Wednesday if both are able to win their opening matches. As for Michael White, the Welshman also made it through to the last eight in Australia and recently lost to Mark Selby at the International Championship. He will probably begin as the underdog against Joe, but has proven this year with victories in Blackpool and Mumbai that he is improving all the time as he becomes more experienced on the biggest stages. Moving on to the second group and we find Mark Selby and Stephen Maguire, who met at the quarter-final stage of this event back in 2013 when it was Selby who ran out a 6-3 winner at the Ricoh Arena. Their overall head to head is relatively even, Selby narrowly holding the upper hand and of the two it is definitely the world number one that has enjoyed stronger form of late, reaching the semi-finals of the recent International Championship in Daqing. Interestingly for Maguire, having failed to qualify for that event in China, as well as choosing not to enter the Bulgarian Open at the weekend, the Scot will not have played a competitive match in over a month by the time that he plays Selby. That said, Maguire has never been afraid of a big occasion and I would expect another close match between the two in Coventry. Awaiting the winner will be either Barry Hawkins or Mark Allen, the latter fresh from his victory in Sofia while Hawkins also qualified from the European Tour having won in Riga back in August. Their head to head record makes for interesting reading as Allen was able to win their first eight meetings in all competitions, while Hawkins has won their last three, including their 13-11 thriller at the last 16 of this year’s World Championship. While Allen has by his own admission struggled to find his best form so far this season, results have been reasonably strong and he looked to be playing very well against both Mark Williams and Ryan Day on his way to the title in Sofia. 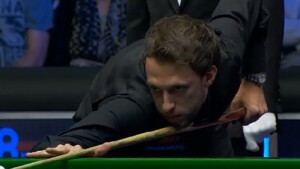 Having perhaps peaked early last season with his strong form early on, he will now be hoping to build towards success at what is now one of the most important phases of any snooker season. As for Hawkins, his best result since victory in Riga was a quarter-final run at the ET3 event in Germany and despite his consistent success at the Crucible he remains an underrated player who can be expected to contribute to a close match. Turning to group three and we find the reigning world champion paired with the first half of China’s World Cup winning team from earlier this summer. 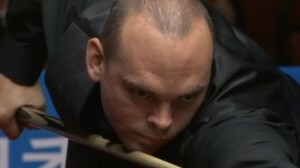 Much has been made of Stuart Bingham’s start to his world champion season but in truth I don’t think that there is too much cause for concern at this point, with a semi-final run at the Shanghai Masters representing his strongest run to date. With the return to the UK and terrestrial TV both here and at the upcoming UK Championship however, the spotlight upon him promises to be greater than he will have experienced to date and it will be interesting to see how he responds. He has in fact played his young opponent once before, emerging a 5-1 winner back at the German Masters earlier this year. While Zhou will again be the underdog, his results have on paper been extremely impressive during his 18 months on tour to date and for me he has a strong claim to being the most exciting young player in the game at the moment (although Oliver Lines might have something to say about that). Since June 2014 Zhou has been the youngest player on tour and for him to have risen to the world’s top 64 with six months still to run on his original two-year tour card sets him out as a real prospect to watch. Win or lose, I am perhaps looking forward to watching him this week more than any other player in the draw. On the subject of exciting young talent, that label can also be applied to the remaining two players in this section, Judd Trump and Kyren Wilson who meet in a repeat of September’s Shanghai Masters final, won 10-9 by Wilson. More recently Judd has suffered a couple of shock defeats at the International Championship qualifiers and ET3 events, but looked to be back on song in Bulgaria this week, while Kyren has also continued to win matches since Shanghai without quite managing to put together a deep run at a tournament. For me Judd is a player who particularly revels in the big stage and for that reason will start as one of the men to beat in Coventry this week regardless of his recent form, but it will be interesting to see how Kyren fares on home soil for the first time as a tournament winner. Their overall head to head record stands at 2-1 to Judd, with both of his wins coming in best of seven frame matches, as will be the case when they meet on Tuesday. Last but not least we find Neil Robertson and Rory McLeod, again both players to have qualified by virtue of victories at European Tour events in 2015. For Robertson it has been an underwhelming season to date as he has uncharacteristically lost a number of deciding frames in recent months, but there were signs of improvement from him at the recent International Championship and I have no doubt that it is only a matter of time before he will be back winning major titles. He will certainly begin as favourite against Rory McLeod, an opponent over whom he holds a 4-0 head to head record against, Robertson having won 18 of their last 20 frames. As he proved in Germany however, Rory is not to be underestimated and can win matches even when not scoring heavily. 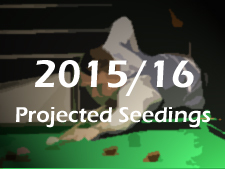 Awaiting the winner will be either Shaun Murphy or the second of this season’s World Cup winners, Yan Bingtao. 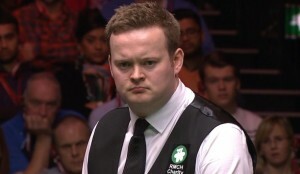 Despite a 6-0 defeat to John Higgins recently in Daqing, Shaun Murphy has enjoyed a fairly solid start to the season, particularly at the European Tour events at which he has so regularly shone during the past 18 months. Having lost his opening matches in Coventry during each of the last two seasons, he will now be hoping to at least break his Champion of Champions duck in 2015 against an opponent who, without wanting to make Shaun feel old (ok, maybe just a little), was not even born when the 2005 world champion turned professional back in 1998. Like his countryman Zhou Yuelong, Yan is a winner of the IBSF World Championship and has already shown that he has the talent to at least compete on the main tour, although he has this season elected to defer his tour card in order to complete his education and be able to obtain a visa required to compete in the majority of events. Again, few will expect him to win against Murphy, but it will be fascinating to see how he handles the situation and without doubt a great experience for the youngster.